Value-added tax (VAT) — or Φόρος Προστιθέμενης Αξίας (ΦΠΑ), pronounced Fee-Pee-Ah — is 23 percent, 13 percent and 6.5 percent as of January 1, 2011, and all prices in Greece were adjusted accordingly. The January 2011 tax hike marks the third increase in less than a year, with the first taking effect March 15, 2010 in hopes of averting foreign intervention and the second July 1, 2010, which was part of a package announced May 2, 2010 to receive the biggest bailout in history. From September 1, 2011, all non-alcoholic beverages except plain water, and ready-made food from all outlets except schools and hospitals, will be moved from 13 percent to 23 percent, making it the fourth VAT increase in 18 months. In July 2013, the Greek PM said VAT on ready-made food and some non-alcoholic beverages would be lowered from 23 percent to 13 percent from August 1 to December 31. However, if tax evasion continues, it would be raised again to 23 percent on January 1, 2014. *Article last updated January 3, 2015. This article will be updated again when/if VAT rates are raised/decreased as part of ever-changing austerity measures. VAT/ΦΠΑ is a consumption tax assessed to goods and services that are bought and sold, calculated according to a percentage of the sale price, and ultimately paid by the final consumer. Member states are required to have a ‘standard rate’ of at least 15 percent until 2015, and may have one or more ‘reduced rates’ of at least 5 percent for qualifying goods and services. 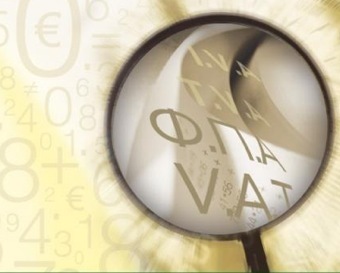 January 1, 1987: VAT/ΦΠΑ introduced to Greece by former Finance Minister Dimitris Tsovolas at a rate of 18 percent. July 11, 2000: A ‘Code of VAT’ under 2859/2000 defines to whom it applies, when it is assessed and any exemptions. To be more ‘fair,’ it is proposed that a three-tiered system be used instead of one uniform VAT charged for all goods and services. February 15, 2005: Amendments to ‘Code of VAT’ published in 3312/2005. March 29, 2005: New Democracy raises VAT to 19 percent to defray cost of staging the Athens 2004 Olympics, which cost each household 50,000 euros. New rates are 19 percent, 9 percent and 4.5 percent. December 29, 2009: Government considers upping VAT to 21 percent before the IMF and EU aid are mentioned. January 13, 2010: Greek PM announced that the poor will be spared, no VAT increase. March 3, 2010: First round of austerity measures include a 10 percent tax increase on March 15. May 2, 2010: In order to receive an IMF-EU bailout worth 110 million to help Greece meet debt obligations, a second round of austerity measures removed tax exemptions from a number of professions and imposed an additional 10 percent on all tax rates starting July 1. Three days later, three innocents die when Marfin Bank is firebombed. June 2010: Inflation hits 13-year high on VAT hikes (Kathimerini), and multinationals like Coca-Cola mull leaving Greece for a friendlier business environment (Kathimerini). November 18, 2010: Third round of austerity measures was drafted to increase VAT on January 1, 2011 from 5.5 percent to 6.5 percent, 11 percent to 13 percent, leaving 23 percent ‘as is,’ then moving luxury goods in the 11 percent bracket to 23 percent, and pharmaceuticals and tourism services to 6.5 percent. Rates for the Aegean Islands will be hikes from 4 percent to 5 percent, and 8 percent to 9 percent. Tax on tobacco products will increase by 10-20 percent. This was done after Eurostat revised Greece’s 2009 deficit to 15.4 percent of GDP and IMF/EU auditors determined Greece had not met its commitments, per the terms of the bailout. January 1, 2011: New VAT rates of 23 percent, 13 percent and 6.5 percent take effect, according to law 3899/2010. Aegean Islands 16 percent, 9 percent, 5 percent. March 28, 2011: Fourth round of austerity measures could include an added tax on soft drinks and an end to the 30 percent discount enjoyed by the Aegean islands. May 31, 2011: Greece, EU, IMF reportedly agreed to lower VAT from 23 percent to 20 percent, and 13 percent to 10 percent — Reuters/Imerisia. However, the measures passed in principle on June 9 have been revised several times and nthing has been finalized. August 1, 2013: Tax on ready-made/take-away food from cafes, clubs, hotels and restaurants lowered to 13 percent. Lower rate also applies to non-alcoholic beverages consumed on premises, but not take away/delivery. Many businesses use tax increases as an opportunity to raise prices, then blame the tax, much as they blamed the euro when it was introduced in 2001. At 23 percent, Greece now has the second highest VAT in the EU for eating out, beating France (5.5 percent), Italy (10 percent), Spain (8 percent) and Portugal (13 percent). What VAT rate applies to which goods/services? Greece currently has one standard rate of 23 percent and two reduced rates of 13 percent and 6.5 percent. On all islands except Crete, there is a 30 percent reduction in VAT rates, which are 16 percent, 9 percent, 5 percent. 23 percent — Clothes, shoes, cleaning products and detergents, alcohol/wine, non-alcoholic beverages (carbonated/flavored water, ready-made coffee/tea/hot chocolate, fruit/vegetable juice, sport drinks, granita, smoothie)*, except those consumed on premise of eating/drinking establishments**; ready-made or prepared meals/sandwiches from cafes, catering services, fast food and delivery, hotels, restaurants, supermarkets, snack bars*; products, toiletries, barber and hair salon services, telecommunications (mobile/cell, land line, Internet service), electronics, appliances, CDs, DVDs, furniture, jewelry, plastics, paper products, school supplies, fuel/gas/petrol, cars, motorcycles, scooters, bicycles, vehicle repair and maintenance, road and bridge tolls, use of sports/training/athletic facilities and events, building materials, professional tax/accounting services, artwork, recently constructed buildings (excluding primary residence). 13 percent — Food at the supermarket and grocer (manavis), educational institutions, hospitals and clinics, social welfare organizations; food from eating establishments/cafes/pastry shops,* ready-made or prepared meals/sandwiches from cafes, catering services, fast food and delivery, hotels, restaurants, supermarkets, snack bars**; non-carbonated water without flavoring or sugar, non-alcoholic beverages consumed on premises of eating/drinking establishment**, fresh baked goods and pastry from bakeries, eyeglasses, transport tickets (ferry, bus, train), electricity (DEH), natural gas, water (EYDAP); tickets for movies, concerts, circuses, zoos, exhibitions and other cultural events; equipment to serve the disabled, repairs on older homes (plumber, electrician, painters). Who needs be giving receipts in Greece? Everyone. May 1, 2010: Gas/petrol stations. Originally set for April 1, the date was moved to May 1 after protests. July 1, 2010: Taxi drivers, kiosks (periptera), mini markets (psilikatzidika), mobile cantinas. Note that legislation was passed seven years ago that required taxi drivers to issue receipts by January 1, 2004; and the transport ministry in 2008 promised to fine ill-mannered drivers. October 1, 2010: Farmer’s market (laiki agora) vendors. Taxi drivers not issuing receipts can be reported to tourist police at ‘171’; the taxi complaint hotline at ‘1019’ was shut down due to budget cuts. All incidents can be reported to the tax evasion police squad hotline at ‘11012’ or financial crimes hotline ‘1517.’ Tips can be anonymous. * This article was created from and cross-referenced with a number of diverse sources in two languages, but please report errors if you see any. I am being charged 23% vat for boat maintenance on Lefkada in the Ionian. This article suggests 30% reduction from 23%, therefore I should be charged 16%! I am being overcharged 7%! What is the V.A.T. rate on expensive watches in Greece. I am planning to stop in Athens soon. As it says in the article above in section ‘What VAT rate applies to which goods/services?’, it’s 23 percent. If you do not reside in the EU, you can apply for a VAT refund.